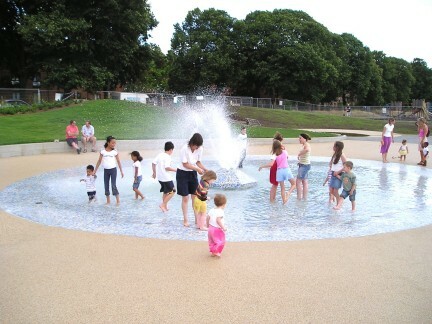 The Water Play Area season is from the Easter holidays, to the end of September. 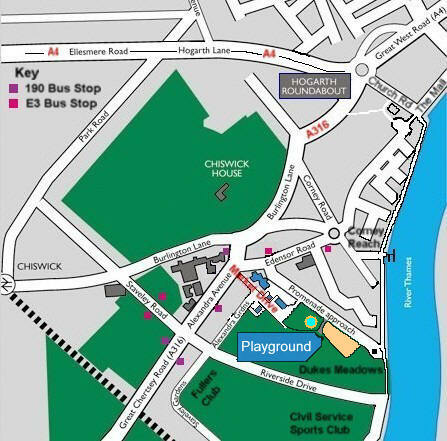 By main line train (South West Trains) use either Chiswick or Barnes Bridge Stations. 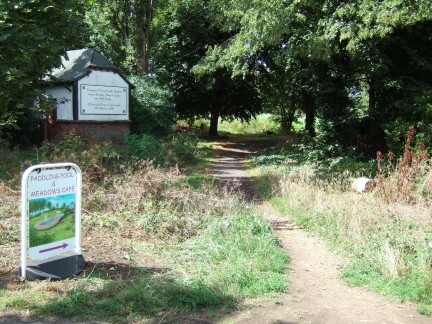 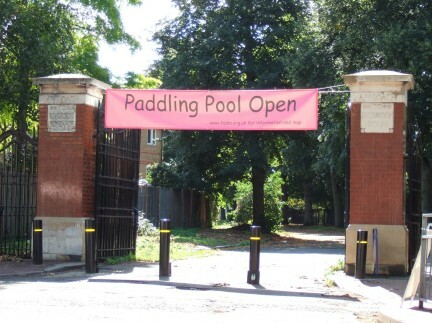 From Chiswick Sation take the short journey by E3 bus or from Barnes Bridge, cross the river and take the tow path to Hammersmith past the Bandstand onto a open stretch of parkland where you will find the sign directing you to the water play area. 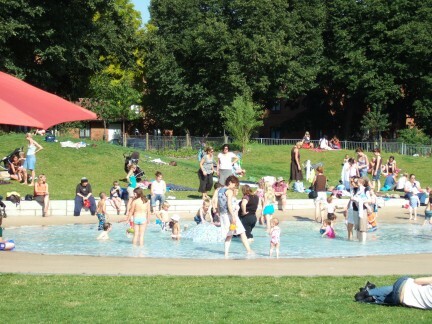 Dukes Meadows Recreational Area. 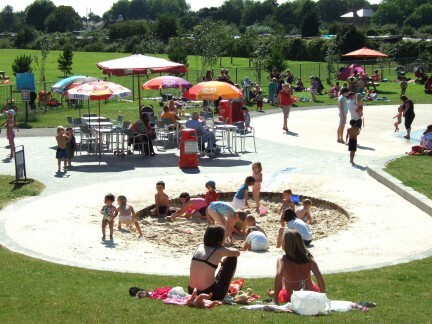 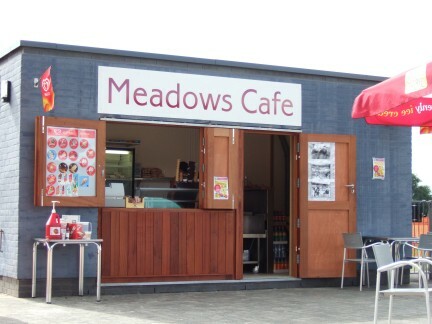 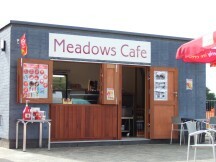 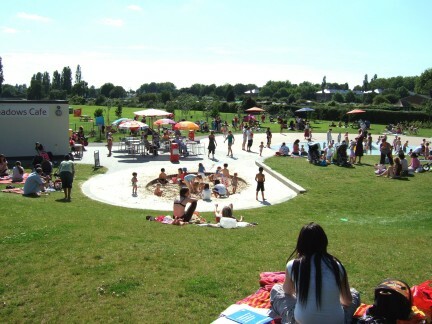 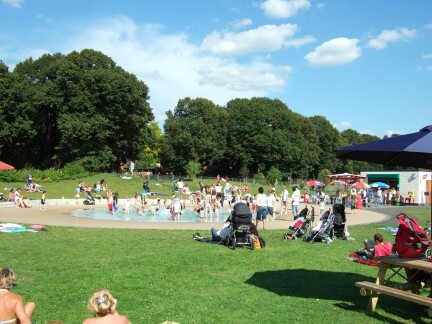 includes a Children’s paddling pool, a shallow pool with a fountain, sandpit and a refreshment kiosk and café. 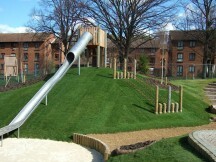 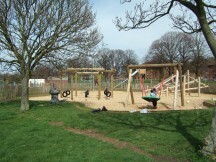 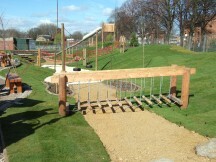 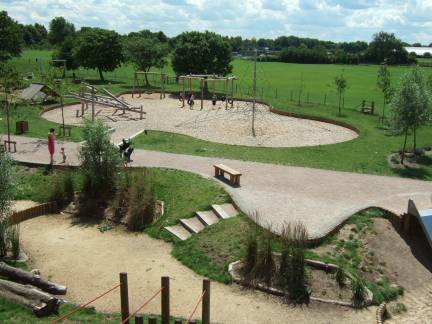 Adventure playground includes landscaped dry riverbeds, slides, swings and other exciting equipment. The playground has been designed to meet the needs of older children and is intended to encourage children of all abilities to mix.